Robert Caldwell's Eastern Standard line is yet another fine addition to the ever-growing portfolio of Caldwell cigars. 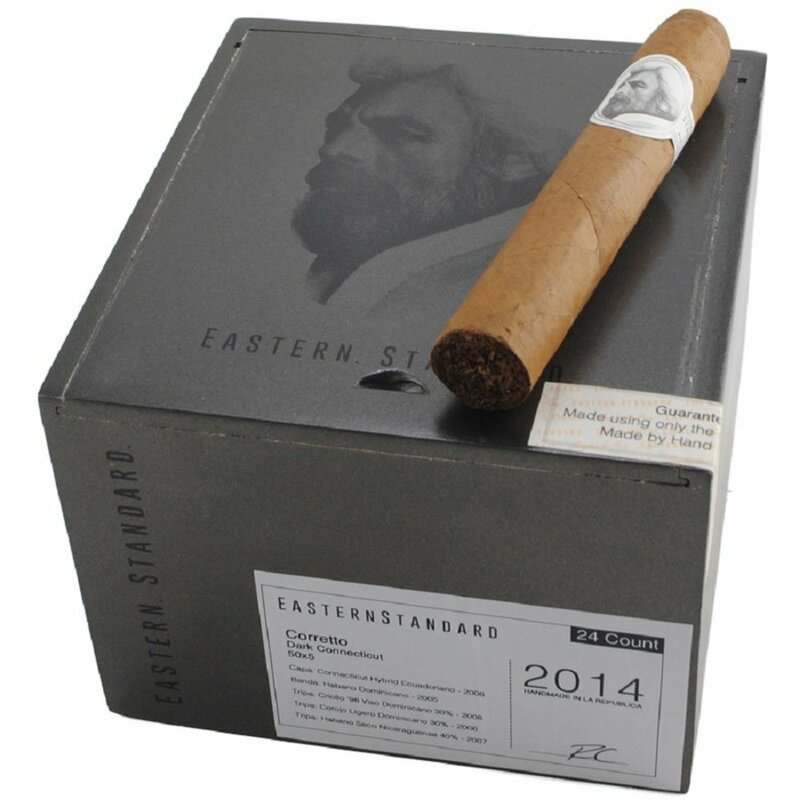 The Eastern Standard Corretto's creative blending of rare and well-aged tobaccos results in a very tasty medium-bodied smoke with subtle notes of spice, leather, cocoa and a delightfully sweet creamy finish that lingers on the palate. The hybrid seed wrapper is a blend of Ecuadoran Connecticut Shade and Brazilian Mata Fina and creates a stunning, dark Connecticut Shade wrapper. As Caldwell states- this is "not your Daddy's Connecticut."